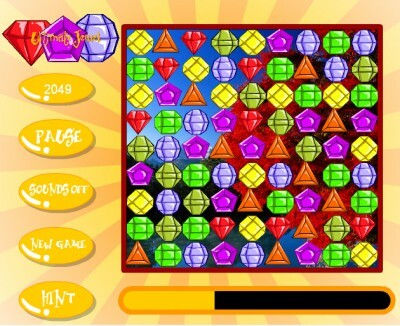 Ultimate Jewel 1.0 is puzzle & word games software developed by Rvraa. 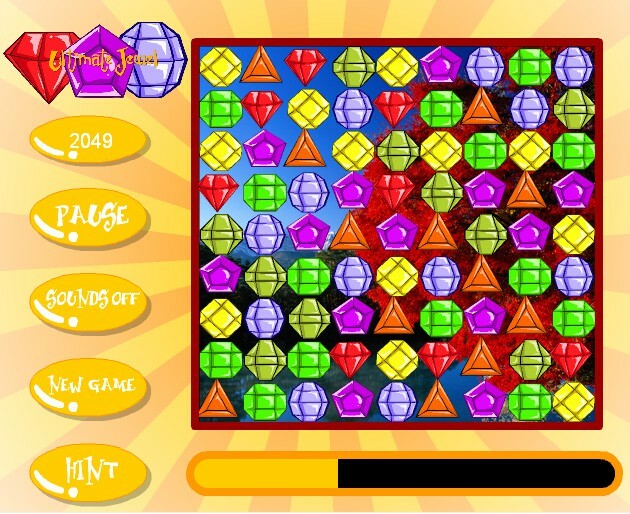 This puzzle & word games software is freeware, which means you can download and use Ultimate Jewel 1.0 absolutely free. There's no need to buy the product. Ultimate Jewel 1.0 supports different languages (including English). It works with Windows 98/XP/Vista. We have tested Ultimate Jewel 1.0 for spyware and adware modules. The software is absolutely safe to install. We has completely tested puzzle & word games software Ultimate Jewel 1.0 many times, written and published the interesting article and uploaded installation file (2080K) to our fast server. Downloading Ultimate Jewel 1.0 will take minute if you use fast ADSL connection. Super Gem Drop is a game where you must arrange identical gems in groups of 3 or more to keep them from overflowing the screen. Gem Drop X is a fast-paced puzzle game where it's your job to clear the screen of gems before they squash you! (You're at the bottom, they're at the top, and they keep coming!) Gem Drop X was directly ported from the original GemDrop for the Atari�8-bit, which was based on "Magical�Drop�III" by SNK.